These are lecture notes for my course on Artificial Neural Networks. This course describes the use of neural networks in machine learning: deep learning, recurrent networks, and other supervised and unsupervised machine-learning algorithms. This book provides a clear and detailed coverage of fundamental neural network architectures and learning rules. In it, the authors emphasize a coherent presentation of the principal neural networks, methods for training them and their applications. Systematic introduction to neural networks, biological foundations; important network classes and learning algorithms; supervised models (perceptrons, adalines, multi-layer perceptrons), support-vector machines, echo-state networks, etc. The purpose of this book is to provide recent advances of artificial neural networks in biomedical applications. The target audience includes professors and students in engineering and medical schools, medical doctors, healthcare professionals, etc. This text covers inference mechanisms in fuzzy expert systems, learning rules of feedforward multi-layer supervised neural networks, Kohonen's unsupervised learning algorithm for classification of input patterns, and fuzzy neural hybrid systems. We all are fascinated by the phenomena of intelligent behavior, as generated by our own brains. As physicists we want to understand if there are some general principles that govern the dynamics of the neural circuits that underlie these phenomena. 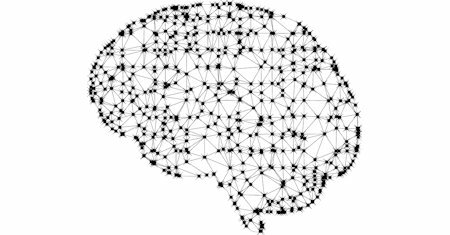 The concept of neural network originated from neuroscience, and one of its aims is to help us understand the principle of the central nerve system through mathematical modeling. The first part of the book is dedicated to this aim. These notes are based on lectures given in the Mathematics Department at King's College London. An attempt has been made to present a logical (mathematical) account of some of the basic ideas of the 'artificial intelligence' aspects of the subject. Text and illustrations should be memorable and easy to understand to offer as many people as possible access to the field of neural networks. The chapters are individually accessible to readers with little previous knowledge. A general theory of artificial neural nets. The book starts with the simple nets, and shows how the models change when more general computing elements and net topologies are introduced. Suitable as a basis for university courses in neurocomputing.